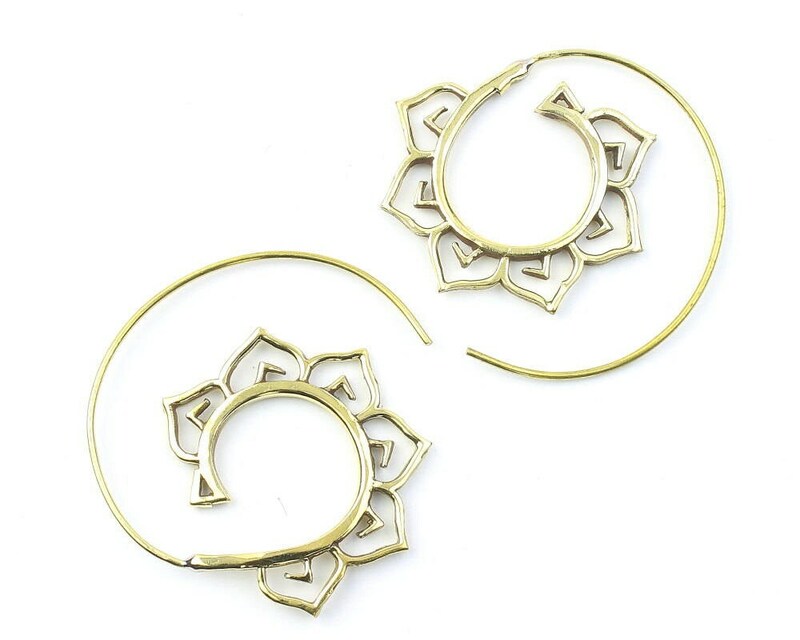 Beautiful spiral hoop design with flower detail. 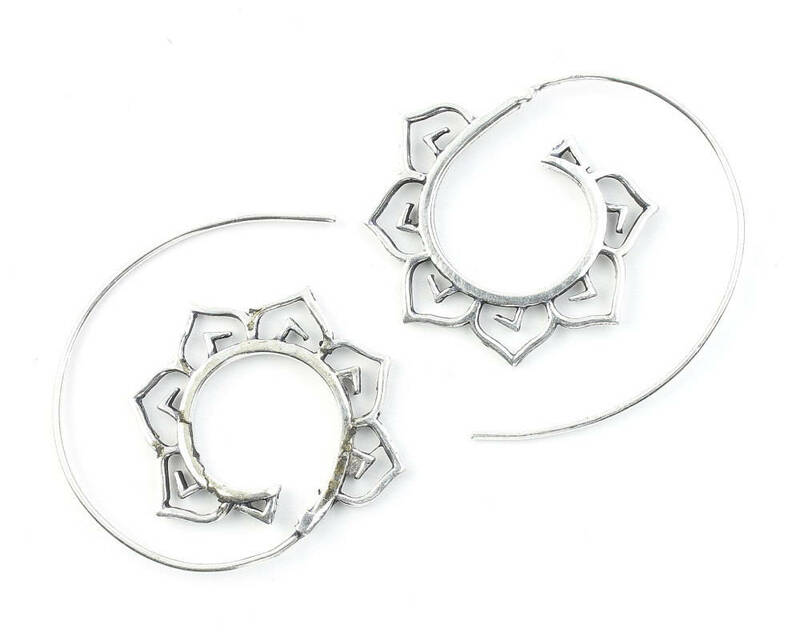 These earrings are nice quality and are just as pictured. They got here super fast! I got a compliment the first time I wore them. The wire is very thin and is easily bendable. It may loose its shape if you mess with it too much.